There's an excellent two part article on Unplugged Games covering the history and inception of Games Workshop. 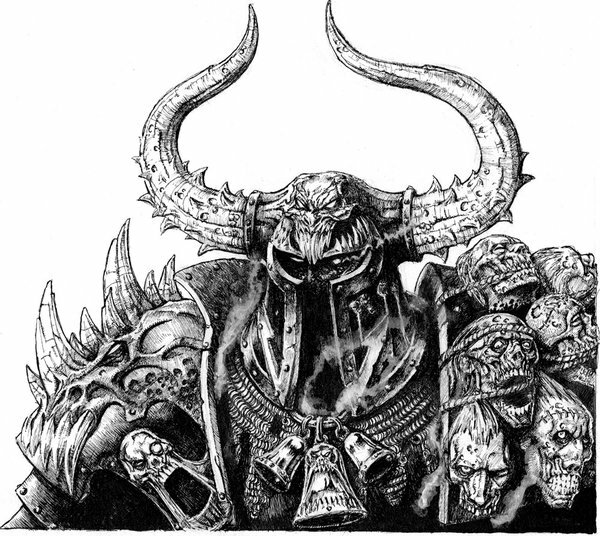 The first article, called Games Workshop: the humble origins of a global gaming empire has an interview with Ian Livingstone, and the second, titled Blood, dice and darkness: how Warhammer defined gaming for a generation, has an interview with Rick Priestly. Well worth reading, and has many insights that I had no idea about, even having bought their toys since the late '80s. First and foremost that Citadel Miniatures, headed by Bryan Ansell bought out Games Workshop, and the main reason they appear to have kept the GW name was because they were too cheap to get new signs for the stores made up. I had always figured (haha geddit?) that Citadel was a subsidiary, not the primary driver. How comfortable that kept me in all these years of blissful ignorance. I wrote an article recently about GW's reboot of their specialist games studios, and what that meant to me. Since then I've been looking into more of their history and it's led to a few eye-openers. One of the most interesting is that the mass exodus purported to have happened a few years ago, doesn't seem to have been as reported. Many of the people I had assumed to have left still work there in different capacities. Some, like Gav Thorpe, still appear to be working for GW as freelancers, and Mantic Games doesn't appear to have been started or staffed by ex-GW employees. Whatever the future holds, I think we're now seeing the birth of a new Games Workshop--one which is more in line with what they had planned over 20 years ago with the merger of GW/Citadel brands. Or will this usher in a new age of chaos? mantic games was started by Ronnie Renton - one of the big ex gw up and ups. many of its staff are ex gw just like warlord games is about 80% ex gw. i know this as i have friends working at both companies. Thanks for the info, I wasn't aware of that. The few names I saw of Mantic weren't ones I recognised. But looking at Renton's LinkedIn page now, I see he was Marketing Director for UK and then global. I guess I foolishly assumed it would have been design studio people who broke off to make their own games. Guess I've got a lot more reading to do. Lots of design people did break off. Jake Thornton, Rick prestley, Andy Chambers and Aliseo Calvitore (Probably spelt those all wrong) left GW Years ago and did there own independent game design companies. Beyond the Gates of Antares - what's in the box? When was the last time I played Warmaster?